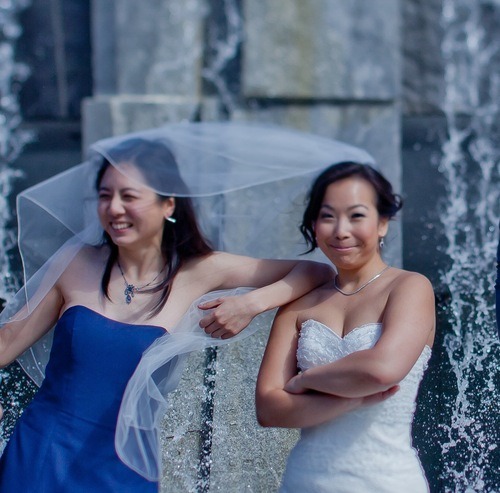 We are always on the lookout for new friends in the wedding world. One of our personal favorite (and brand new, we might add) bridal lines is the utterly chic Aideux (pronounced “I do”). This is no ordinary bridal line. The talented designers, Lucy and Aileen have created incredibly unique wedding dresses, sold as separates, to ensure that you are getting exactly what you want for the most important dress you’ll ever wear. With Aideux, you get to pick and choose your faves so your dress suits you, not the other way around. Also, the best part is, unlike other bridal lines, Aideux prides themselves on being able to wear your dress again and again after your special day! We were lucky enough to get the chance to interview Lucy and Aileen in the midst of all the craziness that is fashion week. The Most Perfect Travel Playlist, Ever. The Song of Yourself: A Travel Playlist to honor your wanderlust. So it’s 6 am your time and 3 pm Amsterdam time, and you’re kind of exhausted and exhilarated at once. We’re here to provide you with music that will soothe & exhilarate the soul, a playlist created especially for you to let your mind and body wander. When we’re traveling, we like to partially ponder life’s great mysteries but also completely zone out and people-watch, while also enjoying many European coffees and fresh croissants and taking lots of naps. Thanks to Spotify, we’ve channeled this energy into making the most perfect travel playlist, ever. Here is the soundtrack to your next vacation. Let it take you away! Have a listen to this, and dream of your next trip…or take it away with you if you already have your next trip planned (you jetsetter)! Whether it’s an urban paradise with artisan shops & cafes or a beachy cloud of bliss in Indonesia, you can make it happen. Who ever said not to mindmap?